AN “ALIEN flying saucer” was captured on video flying over a busy street in broad daylight – sending UFO hunters into a frenzy. 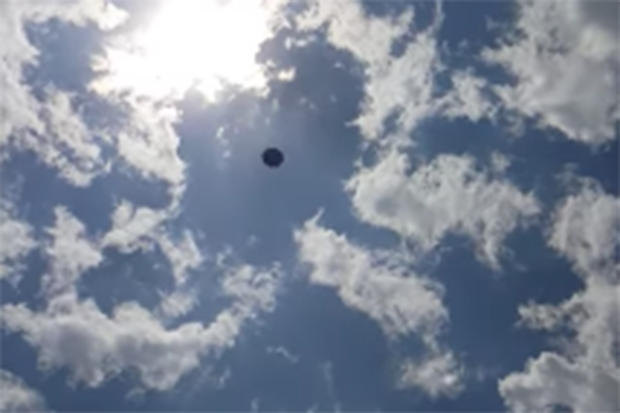 Footage shows the black disc-shaped object moving through the sky above Morelia in Mexico. The black UFO flies into view and lingers in the sky while it is tracked by the cameraman Carlos Arriola. It remains in shot until Mr Arriola has to pull away in his car as the traffic starts moving again.The shock video comes as a British astronomer claimed aliens could be “robots” that have overthrown their creators. The 40-second clip has sent prolific online alien experts into the meltdown. 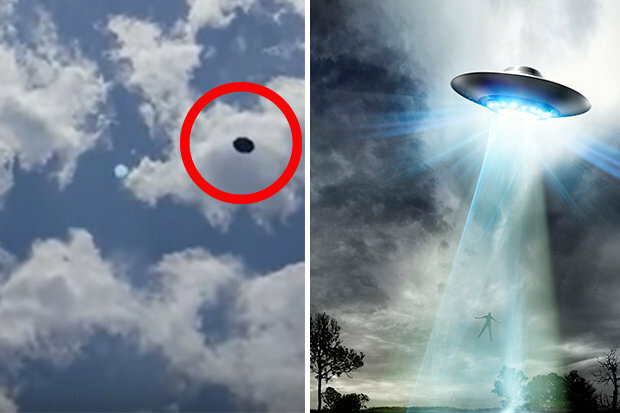 UFO hunters across the web are hailing the short snap as “100% real” and showing an alien spaceship. Some UFO hunters claim aliens are here and want to “quarantine” humanity. Self-proclaimed UFO expert Scott C. Waring wrote on UFOSightingsDaily: “It moves gracefully and silently over a city. “It is rare to see such a close up of a real UFO. Alien hunters SecureTeam10 also hosted the video and dismissed theories the object was being carried by a helicopter or a drone. The existence of life on other planets – let alone space-faring races – has never been proven. But NASA and space boffins continue their search – revealing a breakthrough in the hunt for alien life outside our Solar System last week.